Following pilot programs in select rural communities in North and South Carolina, Google is expanding its Rolling Study Halls program to 16 more school districts across the country. The program’s expansion will give “thousands of students” access to Wi-Fi and Chromebooks on their trip to and from school, which Google says will translate to 1.5 million learning hours reclaimed. The company says providing students with Wi-Fi connectivity on their bus gives those without broadband internet at home two more opportunities to complete assignments or study. 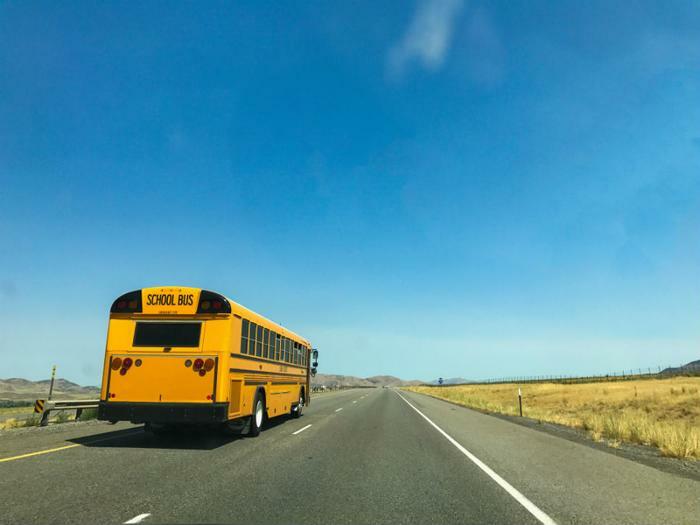 In an addition to providing students with internet access while heading home, school buses will have an “onboard educator” who can help with assignments. Google said the program yielded positive results when it was tested in parts of North Carolina, where kids often had lengthy commutes to and from school. “What we saw when we did this in North Carolina is that test grades went up and one teacher saw even more importantly is that the students came back more engaged more challenged and feeling more confident because of just those few extra hours,” said Susan Molinari, the Vice President of Policy for America for Google. Google says it first started the program in the hope of bridging the digital divide. “When we first started this program, I wanted to open up opportunities for students in need, and knock down barriers—like lack of access to internet at home—that stood in their way,” Lilyn Hester, Google’s head of external affairs, Southeast US Region, wrote in a blog post. “Our program builds on the hard work and dedication of so many teachers, parents, school officials and nonprofit organizations who are making it all possible. And together, we can give these kids access to the learning opportunities they deserve,” Hester said.